From Mexico to Malta, northern lights to sunny skies, these places are doing Christmas better than the rest this year. Its famed ice rink has been around for 79 years; the decorated tree is an 84-year-old tradition. Fashion’s biggest names join in the festivities, setting up impressive Christmas window displays. The most glamorous cases, at the Fifth Avenue flagships and department stores like Saks and Bergdorf, are impressive enough to melt the heart of Anna Wintour. A seasonal favorite, the 18-day Bath Christmas Market has more than 170 wooden chalets selling distinctively British handmade crafts in a quaint Georgian setting. Straddled between the imposing Bath Abbey and the venerable Roman Baths, the market offers a festive way to discover the character of Bath, which is the only entire city in the UK to have been designated as a UNESCO World Heritage Site. Bath on Ice is a great excuse to bundle up and lace up skates, while the Thermae Bath Spa is the perfect reason to strip down and savor the steam emanating from the thermal mineral-rich waters of an open-air rooftop pool with spectacular views over the city. 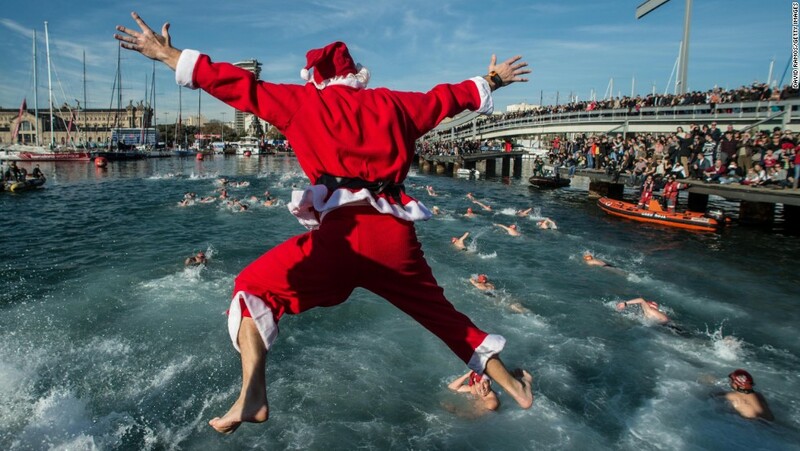 Anyone who can manage to extend your Christmas holiday until Three King’s Day (January 5), can catch up with Melchior, Gaspar and Balthazar than Barcelona. Other area attractions include the Ranua Zoo, home to baby polar bears, wolverines and moose, and the Arktikum, a science center where the mystery of the northern lights is revealed. The Nuremberg Christmas market (Nurnberger Christkindlesmarkt) is a German institution, pulling in more than 2 million visitors each year. Highlights include a giant carved wooden Ferris wheel, old-fashioned carousel and a steam train. Santa Claus dons his beach wear for the Christmas celebrations in Hawaii. The celebrations center around Honolulu City Lights, a month-long Christmas display with an opening parade, live music and a 15-meter Christmas tree. The 6-meter-tall Shaka Santa — Mr Claus dressed down in red shorts and open shirt — takes pride of place downtown, seated next to his mu’umu’u-wearing wife Tutu Mele. 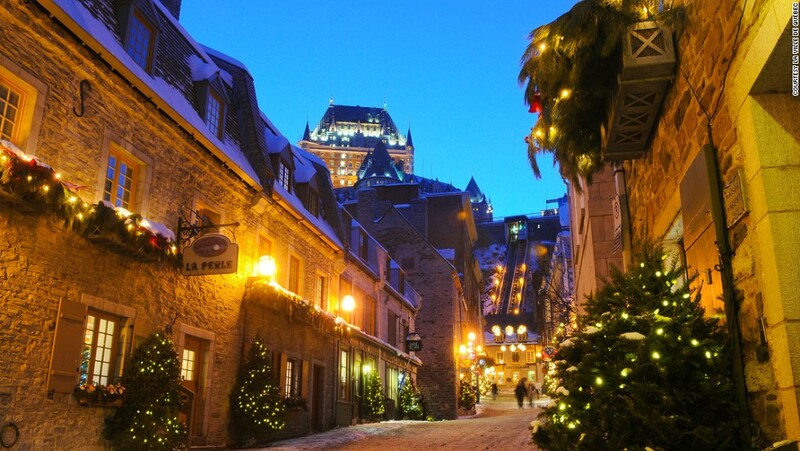 Quebec brings ye olde European Christmas charm to 21st century North America. For those who like to celebrate Christmas around a tree made from recycled sheet metal, with lights powered by the pedaling of nearby cyclists, Quebec is the destination. Old Quebec is turned into a Christmas village straight out of a story by Charles Dickens, while modern-day Victorians can learn about the period and enjoy plum pudding tastings at Maison Alphonse-Desjardins. Rows of small, beautiful huts make up the Yule Town Christmas market on Ingolfstorg. Here, visitors can pick up colorful Christmas gifts, decorations and treats. Leading up to December 24, visitors are likely to stumble upon Mary and Joseph strolling the streets, as locals make pilgrimages from home to home, singing to “ask for posada” or “beg for shelter” as they reenact the journey to Bethlehem. Birthplace of Mozart and filming location for “The Sound of Music” (50 years old this year), Salzburg is chocolate-box perfect. Think snow-capped mountains, Baroque architecture and traditionalChristmas markets. It’s even the home of “Silent Night” — the popular hymn was performed for the first time in nearbyOberndorf on Christmas Eve 1918. 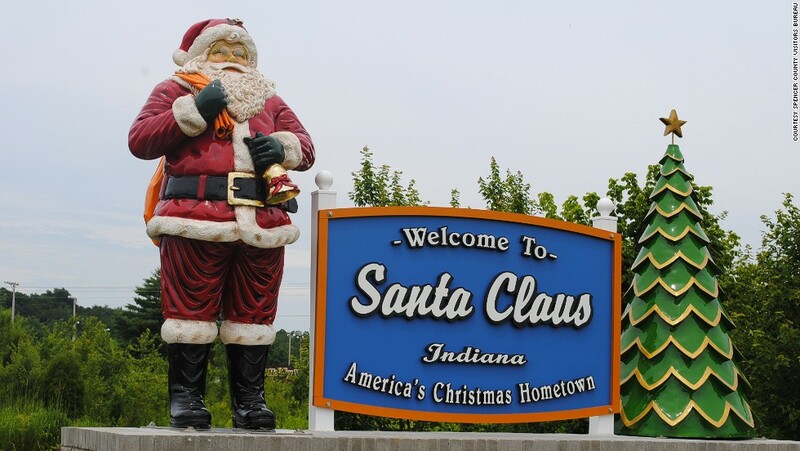 The town also plays host to a more unusual Yuletide tradition. Across Austria and Bavaria, in December people dress up as terrifying Alpine beasts known as krampuses and rampage through the streets in search of naughty children in need of punishment. The last Krampus Run in Salzburg this year is on the winter solstice, December 21. Among various Christmas-themed events, Santa hosts buffet dinners at Santa’s Lodge the first three weekends in December. Strasbourg‘s series of themed Christmas villages morph the city into a visual and gastronomic wonderland. 300 stalls are spread out over 12 locations, with Luxembourg being honored this year with its own dedicated village. Visitors can feast on Luxembourg-style gromperekichelcher (potato cakes) and boxemannercher (brioche men), washed down with gluhwain (mulled wine). Alongside the traditional market, there’s the new OFF alternative Christmas fair, featuring live music and a street art trail. Sun-lovers who want to join Santa in his surf shorts should definitely head to Queenstown, where warm summer temperatures mean folks can jetboat, river surf, or paraglide on Lake Wakatipu, or simply set up camp along the lakefront and enjoy a hearty Christmas meal of lamb, seafood, and chicken on the barbie. Gifts, luxuries, culinary treats and traditional crafts can be found at Valkenburg’s Christmas markets. The annual sand sculpture festival takes “A Christmas Story” as its theme this year.